There’s a new breed of entrepreneur on the block — those that put happiness first. But what’s remarkable is how, in making this choice, these companies are becoming highly profitable. Well, we believe we have the answer. Southwest Airlines have done it. And now more and more startups are following suit. They’re making happiness their business model. There’s a new breed of entrepreneur choosing happiness before profits. But what’s remarkable is how, in making this choice, these companies are becoming highly profitable. 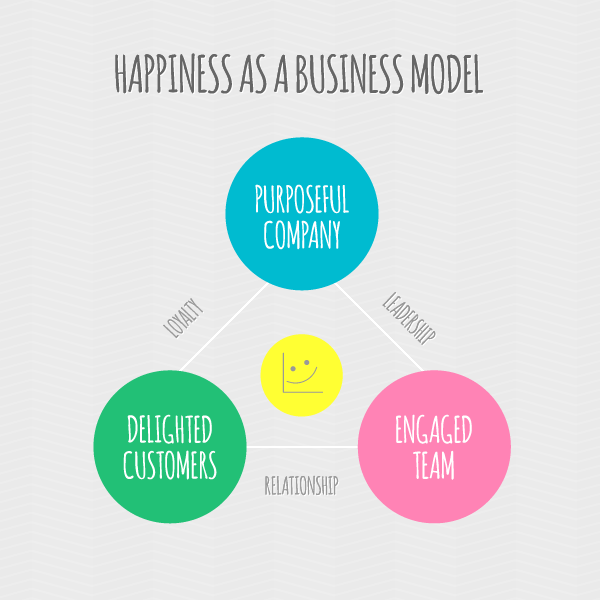 By placing the happiness of their employees and customers first, they’ve created incredibly strong cultures and an even happier balance sheet. So if you’re one of those people setting out into the world of entrepreneurship, then it’s worth spending some time defining what will make you happy as this will give your startup a more solid foundation to build upon. 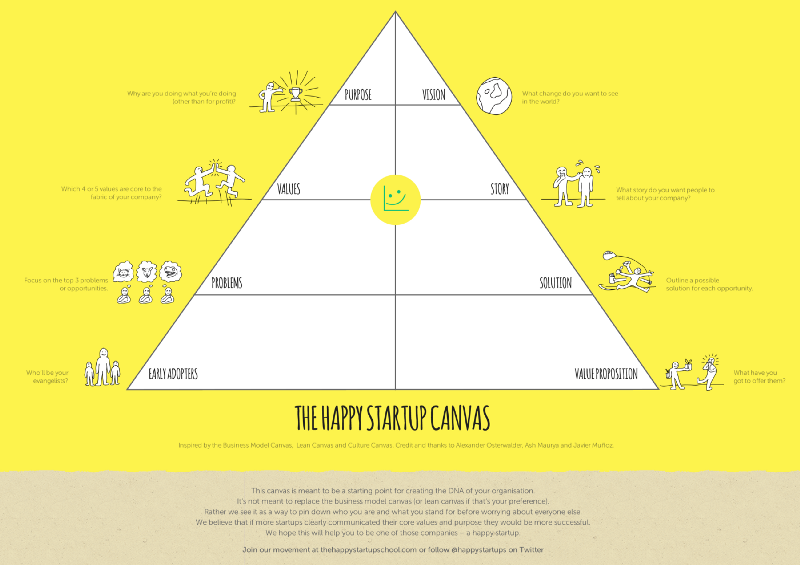 Happy founders are the first essential component of happy startups. We spend most of our waking lives at work. It’s a big part of who we are, so it’s important that however we’re earning a living, we’re enjoying what we do. By finding and following what excites you, you’ll help to give your life real meaning and your business its mojo. The path to a profitable business starts with recognising where your passion lies. And don’t just think ‘what do I enjoy?’, but rather ‘which problems do I see that need addressing that get me excited?’. It’s vital to your startup’s progression that you’re passionate about the problem you’re trying to solve. After all you’ll probably be devoting several years of your life and some long hours, so it’s vital that you’re into what you’re doing. If you’re not, it will show – in your ability to motivate yourself and others, the quality of your service or product and the relationships you build with your customers. Take a second and think about how you work when you’re not happy, when you’re feeling negative, anxious or stressed. Are you creative? Inspired? Motivated? Engaged? Is our productivity at its peak? Study after study proves that happy teams are more creative, productive and effective. Just think about it for a second. Happy employees are nicer to be around, they like making their customers happy and therefore work harder to achieve that. 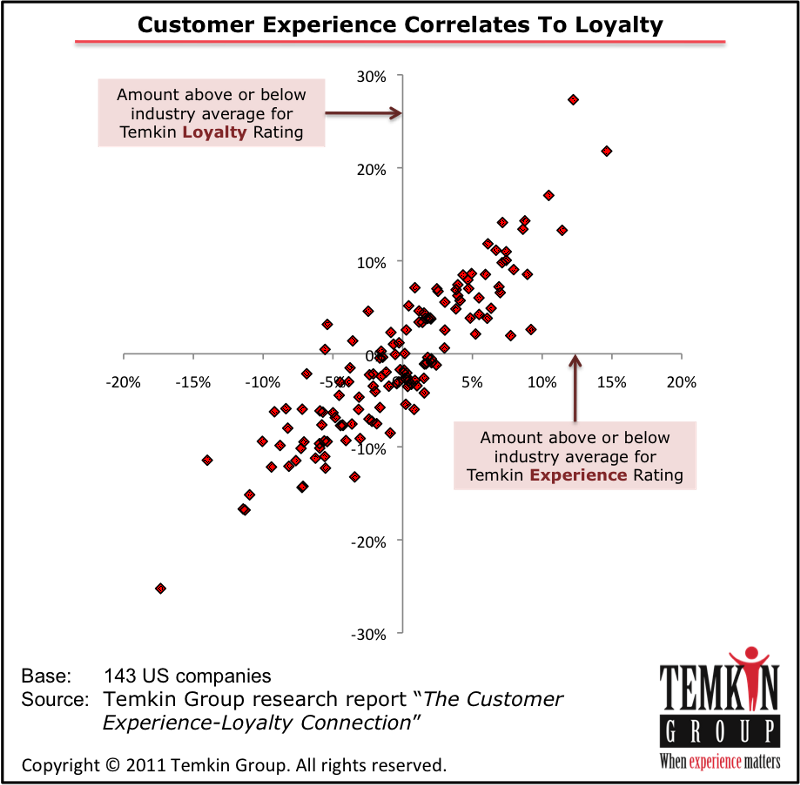 Happy customers spend more money, are more loyal to a brand and tell their friends and family. It’s a marketing plan in itself. And as a founder working with people you like on a business you believe in, means everyone can work together towards a common, meaningful goal. As well as a variety of diverse businesses we’re seeing a movement of individuals that want to start businesses firstly as a lifestyle choice, and secondly to make money. Before you start on your entrepreneurial journey, it’s vital that you consider what you’re in this for. Whatever success looks like, it’s probably not where you are now. Really spend time thinking about what your end goal is. Try to focus on the life you want and the impact you want to make on people’s lives, not the numbers you need (that will come). We believe you can lay the foundations for success by really defining who you are and what you stand for – your values, passion and purpose. 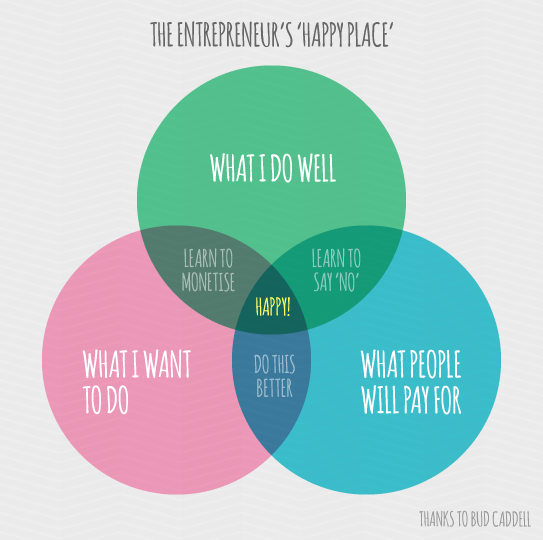 At The Happy Startup School, we believe passion trumps any kind of entrepreneurial experience. Defining your passion is what will drive you to succeed – after all if you’re not passionate about your business why should anyone else be? This passion will help you define your business purpose and help people rally around your cause. Rather than saving ‘the real you’ for the margins of life, you’ll be living a seven day weekend! It will create a contagiously happy environment for the people around you, with a positive effect on both productivity and profits. Having a clear purpose will help people to know why you exist, giving your brand more resilience and your company a reason for being. It will also help you make quicker decisions. Boldly go where no one has gone before. There are hundreds of challenges yet to solve and you have the exciting opportunity to create a business around your purpose. It’s just a matter of testing different ideas and creating some engineering some serendipity. By exploring different business models from your mission, we firmly believe you’ll make your own luck and be on the path to aligning your work to your values. Happy startups means a happier world – something we all believe in.